Friday evening the Moon have had a close encounter with the Earth's shadow 240,000 miles out in space. As the Moon reached its full phase just after sunset (from the west coast), it was darken somewhat as it passes through the light outer shadow of the Earth. This shadow is called the 'Penumbra' and is not as dark as the central 'Umbral' shadow so this won't be a blood Moon or anything even close to that. But for the careful observer it will be an interesting sight as the Moon rises in mid-eclipse and displays a darkening on its upper limb as it enters the Earth's penumbral shadow. The Moon rises at 5:45 pm for viewers in San Francisco and will already be well along in the eclipse for viewers in the eastern USA and Europe. The full Snow Moon spent over four hours gliding through Earth's outer shadow, or the penumbra, causing a large portion of the moon to appear darker than usual. Meanwhile, Comet 45P swooped in for its closest approach. As the comet glowed at its maximum brightness, skywatchers could get a rare glimpse of the beautiful, green comet with binoculars and telescopes. You can see a video of Comet 45P here, courtesy of the Slooh Community Observatory. This eclipse marks the start of an 'Eclipse Season' in which we will experience one Lunar Eclipse (in this case a Penumbral Eclipse) and two weeks later a Solar Eclipse (in this case an Annular Eclipse visible only in the southern hemisphere). Eclipses come in waves approximately every six months and this particular Eclipse Season is the last one before the Total Solar Eclipse of 2017 across the United States. A penumbral eclipse happens when the Moon passes through the pale outskirts of Earth's shadow. It is much less dramatic than a total lunar eclipse. In fact, when observers are not alerted beforehand, they sometimes do not realize an eclipse is underway. Nevertheless, the shadow of Earth can be plainly visible to the naked eye. 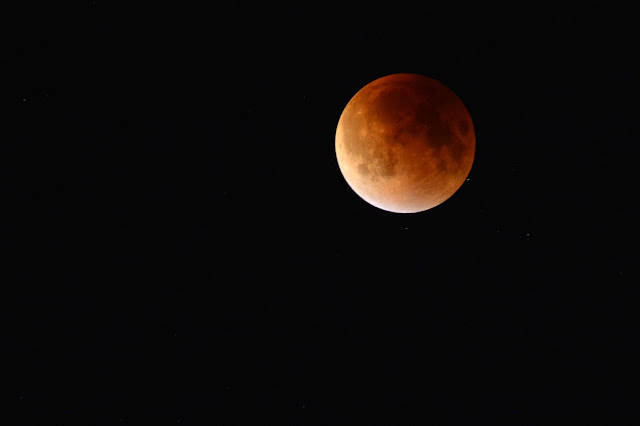 Astrophotographer Chris Cook watched the Snow Moon eclipse from his observatory in Cape Cod, Massachusetts. In his telescope image, which was taken close to the eclipse's peak, you can see Earth's penumbral shadow encroaching on the moon's upper limb. 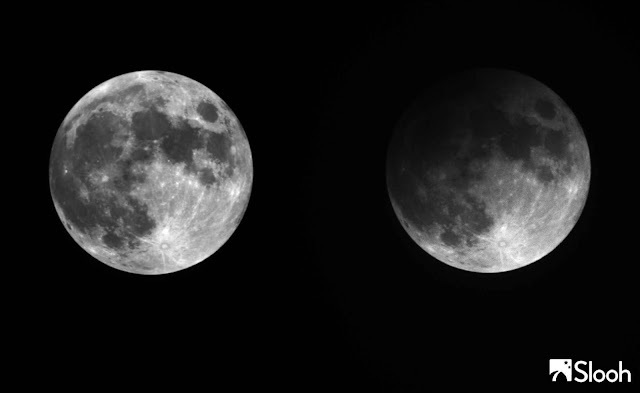 "Visually, the darkening of the moon by the penumbral shadow was easily detected," Cook told Space.com. "Conditions were quite appropriate for the Snow Moon eclipse as we had received 10 inches of snow the day before." Chris Cook captured this photo of the moon near maximum penumbral lunar eclipse on Feb. 10, 2017 from his observatory in Cape Cod, Massachusetts. Because the moon does not enter the dark middle of Earth's shadow (called the umbra) during a penumbral eclipse, the moon only appears to darken slightly. During Friday's eclipse, the upper portion of the moon grew noticeably darker while the lower portion appeared to glow as usual. This comparison image of the Snow Moon penumbral lunar eclipse captured by the Slooh Community Observatory on Feb. 10, 2017 shows how much of the moon was darkened during the relatively minor eclipse. The image was taken by a Slooh.com telescope in Spain's Canary Islands. 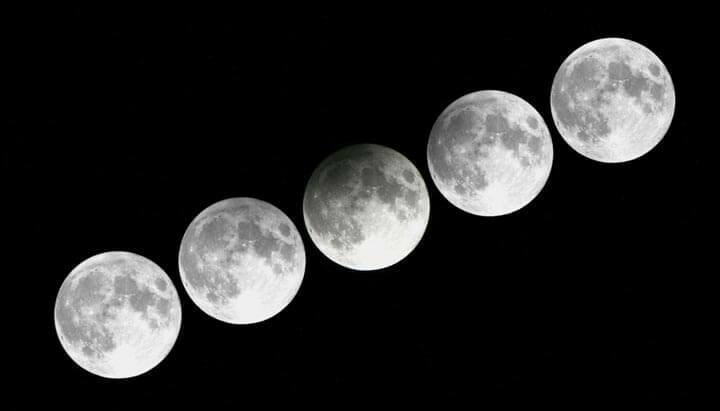 Slooh kept its cameras pointed at the moon throughout the entire 4 hour-long eclipse. While the eclipse may not have been obvious at a glance to the casual observer, Slooh's telescope views from before and during eclipse show a distinct difference that is pretty impressive for a penumbral eclipse. 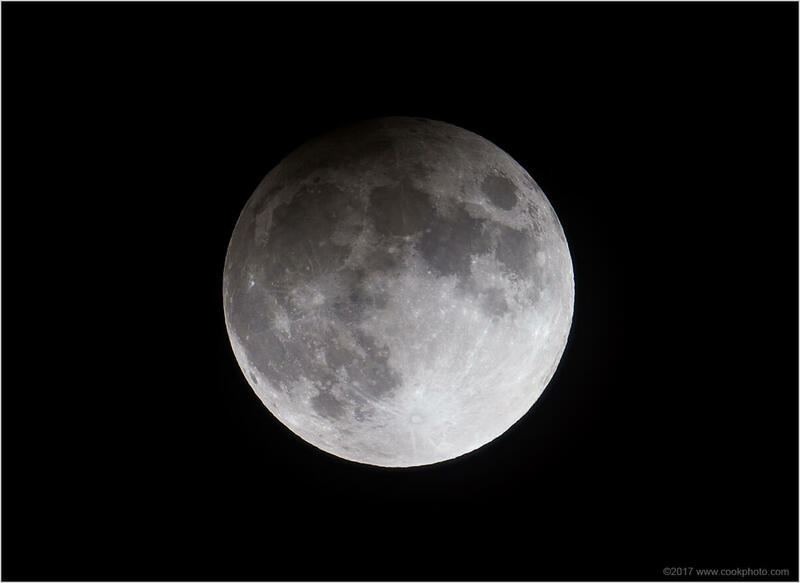 People often claim that penumbral lunar eclipses are not even worth watching, because the effect is too subtle to see. But Slooh's side-by-side comparison shows how remarkably visible this eclipse was. Because the moon ventured farther into the penumbra than with most of these kinds of eclipses, the shadow reached across 70 percent of the moon's face, making for an exceptional view.